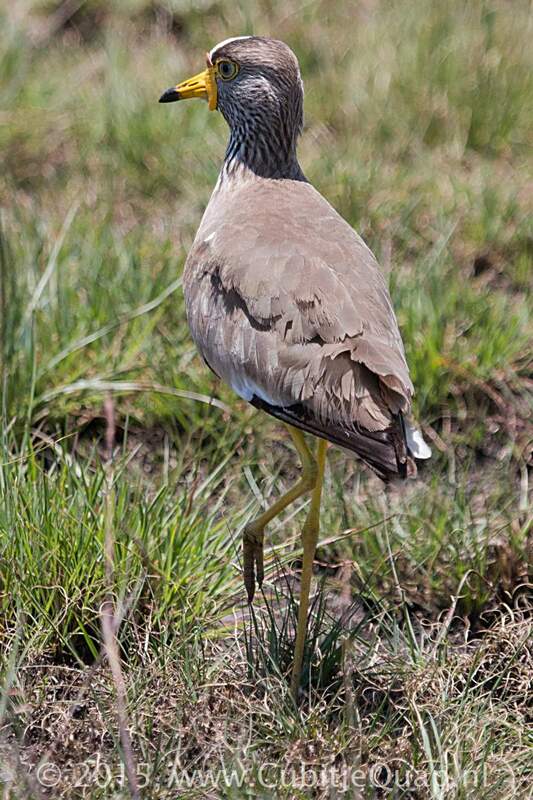 The largest lapwing of the region. 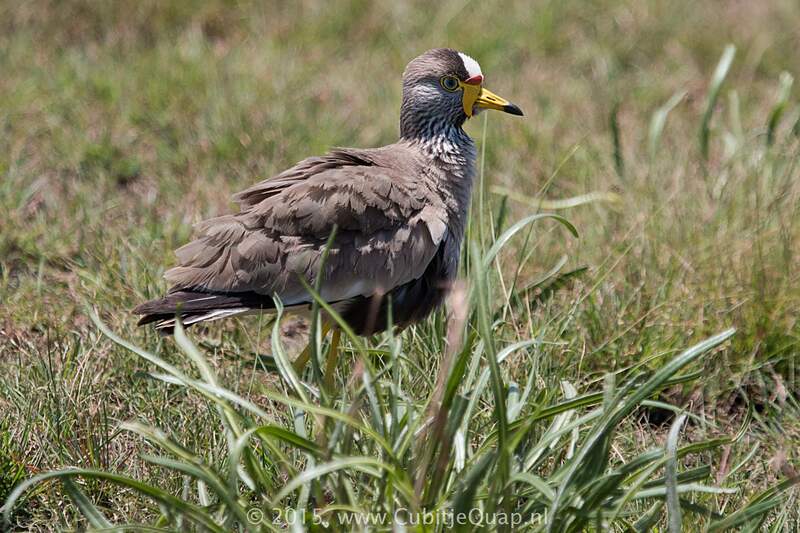 It has smaller yellow wattles than does white-crowned lapwing, from which it also differs in having a dark breast bordered by a black line on the belly, and streaked (not grey) sides to the head and upper neck. 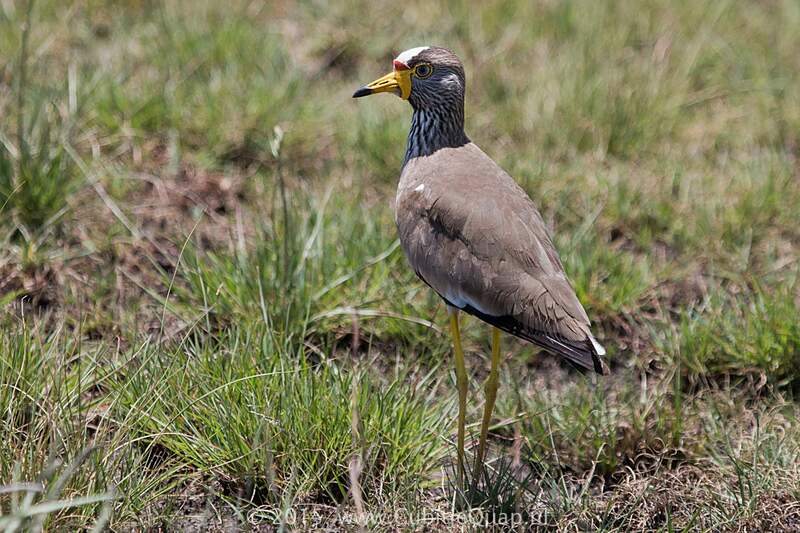 The white on the head is restricted to the forecrown and forehead, unlike white-crowned lapwing, in which the white stripe extends to the nape. In flight this species does not have the starling white-winged appearance of white-crowned lapwing, but does have an obvious pale wingbar. Juvenile resembles adult but has much reduced wattles and less distinct head markings. Damp grassland and wetland fringes. A high-pitched, ringing 'keep-keep'; regularly calls at night.